A Bentley Continental GT3-R, all of France and a ghost train to race. 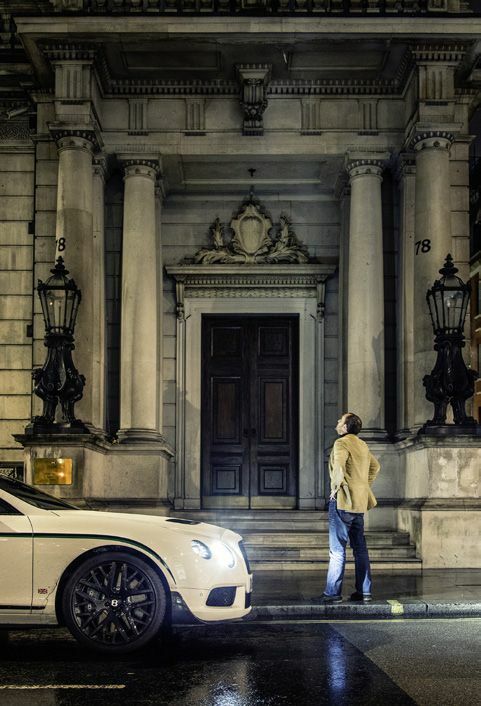 Road trips, Bentley Boys-style. 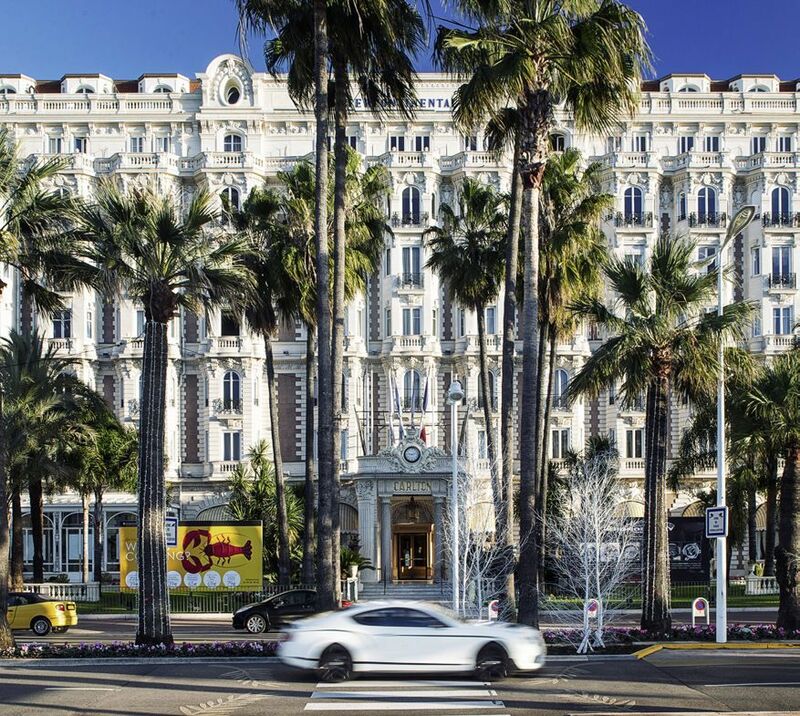 THE CHALLENGE CAME about over dinner at the Carlton Hotel in Cannes in 1930, where then Bentley chairman, racer and diamond-mine heir Woolf Barnato poured scorn on Rover’s and Alvis’s much-heralded beating of the Blue Train from Cannes to Calais. A trifle, he reckoned. Anyone could do that. In the same time, 21 and a half hours, he reckoned he could steer his Bentley from the Carlton to his dinner companion (and soon to be co-driver) Dale Bourn’s club, the Conservative, just off Pall Mall, and pocket a £100 wager as well. Photographer Rich and I, pepped on tales of Birkin, Duff and Benjafield and wide-eyed races against impossible odds, reckon otherwise. I hope we are not about to make rotten asses of ourselves. An evocative steam train, its first-class-only sleeper cabins loaded with the great and the glamorous from Churchill to Chaplin, the Blue Train can’t be physically raced anymore because it doesn’t exist, the luxury version having reached its final terminus in 1962. So we have just the Breitling clock on our dash as a rival. Still, we’ve got a fast car to race the ghost train in – the £237,500 GT3-R, one of only 300 hand-built examples, with a top speed of 170mph (surprisingly low due to eight shortened gear ratios), but 578bhp from the twin-turbo 4.0-litre V8. Should suffice. Barnato downed his drink in the Carlton bar and coolly swept off down the road in his 6.5-litre Speed Six Mulliner saloon (not the Gurney Nutting fastback now called the Blue Train car), but our start is an ignominious one, getting lost in the one-way warren of Cannes. Once out and heading for the hills I discover a good thing: bloody hell, it accelerates viciously hard. The noise builds with a shriek of the new high-boost turbos spinning up followed by a thunderous bellow as the eight cylinders go potty, with a hard crackle marching through the lightweight Akropovic titanium exhausts. Imagine all your favourite noisy car noises, served in one gluttonous banquet, and you have an inkling. But while wondering how the devil it sounds heart-flutteringly heavenly and bowel-grippingly satanic at the same time you’ll already be past the ton and heading for real trouble. The GT3-R is mesmerisingly, brutally quick, but the delivery of extreme speed is an unnalloyed joy, devoid of the nagging doubt that it’s milliseconds from ruination. "WO’s attitude was that racing sold cars, so he would have liked the GT3-R"
Its weight and four-wheel drive bring the surefootedness of a veteran steeplechaser and through the rocks of the Col de Vence and Greolieres the drive becomes a thing of quite majestic proportions. In the icily sharp winter air, the blastwave the GT3-R produces must be spilling over the edges and down into the valley, rumbling the breakfast crockery. What a splendid way to wake the locals up. France starts looking a piffingly small place with this much pace available. WO’s attitude was that racing sold cars, so he would have liked the GT3-R. Its white paint (the only colour choice) wide carbon wing, green streaks and Union Jacks look very like the Blancpain endurance racer. But it is not the most chic Bentley: more Max Power for millionaires. Ideal for the moneyed types of the Cote D’Azur it seems. We’d arrived the night before, and as our Bentley parked on the mosaic-clad porch, an expensively constructed collection of Euro-milfs tottered into the bar cooing appreciatively. You might think real Bentley Boys would follow, order magnums of Pol Roger and spend the evening wooing with talk of derring-do and heroic victories. But I stunk of stale Red Bull and had melted chocolate on my jumper, while Rich plainly would rather fiddle with his exposure settings than the clasps on a Roberto Cavalli shift dress. But the Bentley Boys were not quite the party animals many assume, when there was work to be done. The drivers did not drink in the run-up to races, WO banned girlfriends from the pits, while everything was planned and practiced with meticulous precision. As for racing, the idea was to go only just fast enough to win. Finally, we crest the formations and follow wider tree- lined hairpins as they sashay their way down the last whimpers of the Alpes Maritime, where the remarkable braking of the Bentley is shown to its best effect. Downhill with nearly three tonnes of momentum, I brake late and each time find I have to release pressure on the pedal or these vast unfading carbon silicon carbide brakes will anchor us at a mooring yards short of the turn. The GT3-R isn’t a full-on sports car though, even with the torque vectoring system subtly acting on the rear wheels pulling us remarkably tight through a corner as though the car is being trussed in a corset, because the steering ratio is still GT-weighted and on some bends you can’t just plait your arms through 180 degrees and spear off after the apex. That also makes the paddleshift harder to use, because the levers stay where they are while your hands are doing the Charleston. Usually these shifters are just an affectation, but the GT3-R feels more like a sequential system than an electronic parlour game. Hit the limiter before pulling for the next one and the car will buck angrily, while shifting down meekly without enough engine speed results in the odd sensation of speeding up as the engine revs to match the ratio. Basically, it’s all-out or nothing, with no horses to be spared as each gear bangs into place. Tremendous fun. Then it’s onto the flat wide plains beyond. Our plan is to follow the approach Nelson took, and ‘go straight at ’em’, so that means pointing north-west to Calais on Route Nationales, just as Barnato did. But in his day there were barely any cars and while the roads were rough, at least they were empty and he could keep up his 75mph lope. In my mind we would roll down tree-lined avenues, punctuated by stops at shuttered cafes for revitalising espressos. But the Route Nationales are clogged with lorries, caravans and toll dodgers in battered Citroëns, lined not with plane trees but Super U supermarkets, tyre fitters, pizza outlets and out-of-order toilets (what is it with French plumbing?). It’s slow going, and even with the ballistic acceleration of the Bentley, picking off this endless train of snails is hard work, averaging barely 40mph. That means France could take 19 hours, discounting fuelling, food and finding working urinals. Not a chance.